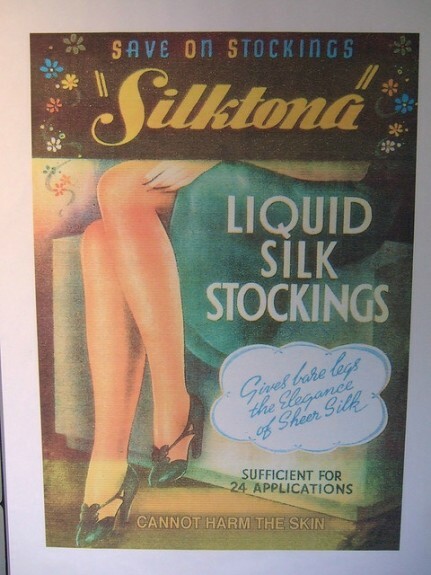 With nylon or silk hose hard to come by, women had the look of stockings brushed on their legs. A successful application of liquid stockings and seams. 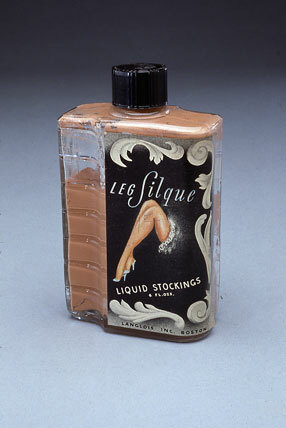 Liquid stockings were a noteworthy enough phenomenon that even the Smithsonian has a bottle in its collection. Leg Silque Liquid Stockings, National Museum of American History. World War II poster, Amberley Museum, Britain. 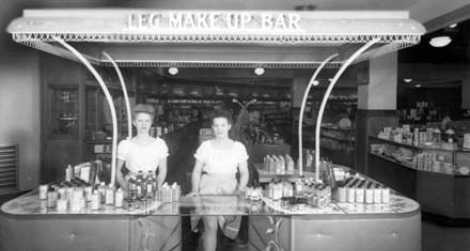 Leg makeup bar, 1944, at a department store. 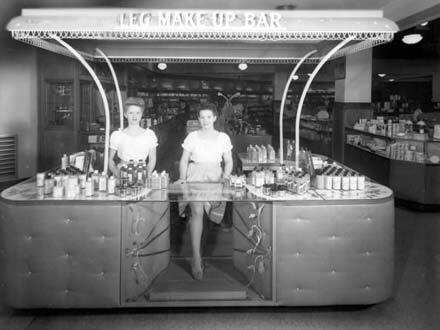 For those women overwhelmed by options— Ann Barton’s Leg Make-up, Harriet Hubbard Ayer’s Stocking Lotion, Patrick’s Leg Art, Leg Charm from Cosmetic House, Helena Rubinstein’s Leg Stick and Max Factor’s Pan-Cake Make-up, for starters—or unsure about application techniques, a leg makeup bar at their local department store could provide some guidance for beautifying their gams.